This post about the best pork is sponsored by Air Canada Vacations. I always think about sun vacations but they also have Spain packages starting at $1399 and Italy packages starting at $1499. I love working with great companies, especially when they simply ask me to write about something I love. And you know that’s pork. Is the best pork in Spain or Italy? This is such a tough question to answer because the truth is that while cured meat may look similar, jamon from Spain has a different taste from prosciutto in Italy. 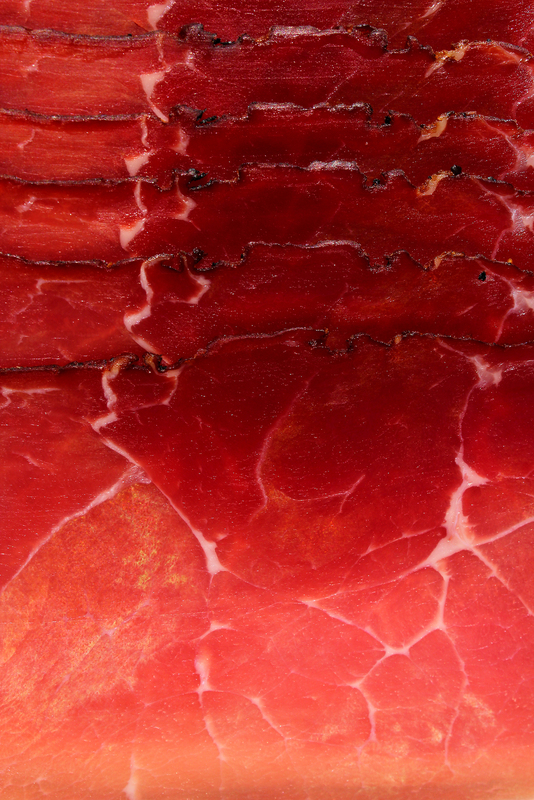 Spain is warmer and historically it was cured slightly differently so the taste changes. And that’s only the leg of the pig we’re talking about. Then you have salamis and other cured muscles like my favourite – spalla or coppa or so many others. 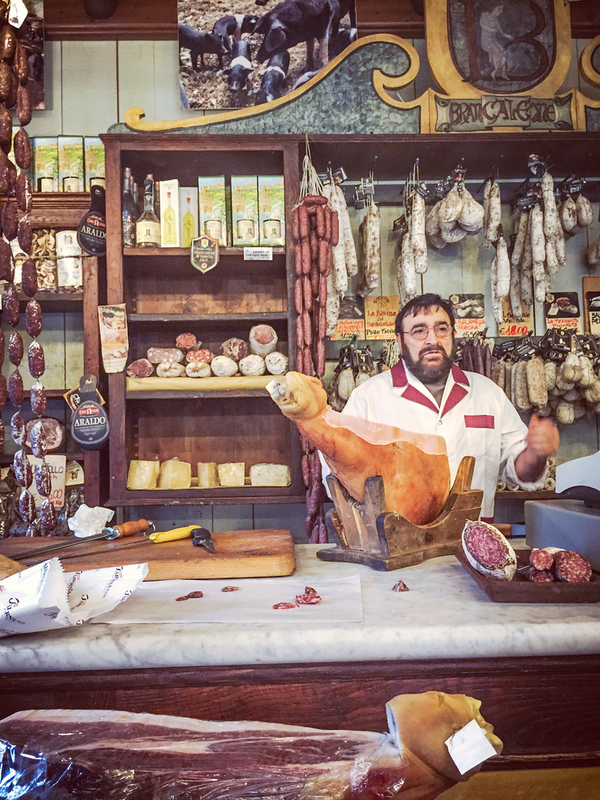 In fact in 2015 I took a “meatcation” in Italy where I did nothing really but eat cured meat. That’s dedication. Sure when it comes down to it I dig the pig and I couldn’t possibly choose. So instead I wanted to share some of my favourite regions that are home to the best pork in Spain and Italy. I’ve visited Modena twice because I loved it so much. Not only is it home to balsamic vinegar and parmigiano reggiano, it’s known as one of the best spots for prosciutto. Great cured meat needs cooler temperatures and lots of moving air. The northern region of Salamanca in Spain is known for two things 1) Bachelor and Bachelorette parties and 2) Some of the best jamon in the country. The Spanish take pork very seriously. The region is full of acorn bearing oak trees that pork feast on giving the cured meat a special flavour. It’s common to buy a leg for home use but have a look at the video below, slicing this porky product isn’t as easy as you think. I guess I just need more practice! I have such heart for Umbria as it’s the birthplace of cured meat in Italy. In fact the Italian word for someone who cures meat is Norcino, which derives from the town of Norcia. Cured meat is so entrenched in every day life that you can smell the garlic and thyme as you start to get closer to the city. If you want to beat the crowds and discover the lesser known side of Italy this is definitely the place to go. I rented an apartment in Girona, Spain in 2013 because I wanted to know why this region in North East Spain produced so many Michelin starred restaurants as well as the famous El Bulli and El Cellar Can Roca. I discovered that aside from these famous restaurants, the best restaurants actually had no stars at all. They were often from chefs who once worked as cooks in the starred restaurants and moved on to open more casual restaurants. One of my absolute favourite restaurants in the world is Compartir in Cadeques. The best part of this region, the expectation for quality food is so high that it’s absolutely fine to dine in jeans. It’s not about how you look it’s about the food. And the expectation for quality prosciutto is just as high. I ate so much of it in two months I was starting to think I was being cured from the inside out. I have not yet visited South Tyrol but it’s on my list as I have friends there. Not because it’s home to some of the best skiing or snowboarding in the world but because it’s home to speck. Speck is similar to prosciutto as it is cured pork leg, but the bone is removed and then it is cured in spices and lightly smoked. The Germans known a thing or do about pork as well, and speck is available in both the South Tyrol region and in the neighbouring German towns. Although I’ve eaten speck in Italy and also imported speck in Canada I’ve never had it where they cure it. It’s about time I changed that. If you’re interested in your own meatcation or maybe just a food tour and aren’t crazy enough to plan it yourself like I did check out this Risotto, Truffles and Cheese in Italy or Tapas & Paella in Spain. I am definitely a Jamin Iberico girl! thanks for all the tips on where to find the best, I am now intrigued by Girona! I fell in love with jamon when I went to Spain! Will have to keep these destinations in mind on my next trip! 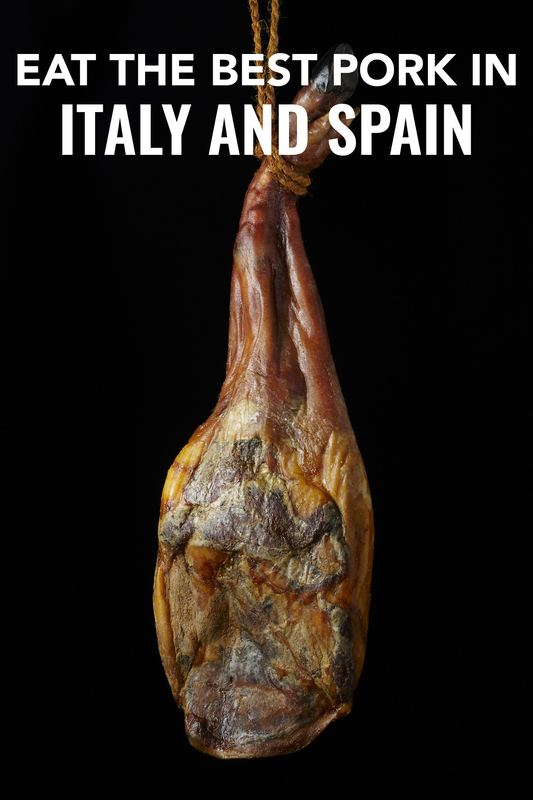 I ate prosciutto in Norcia and Jamon Iberico in Malaga. I have only eaten imported speck in Canada. I love the taste of all three. Hopefully one day, I can return to visit Italy and Spain. Thanks for the tips. This is a post after my own heart! I travelled to Parma specifically to eat prosciutto and ever since we went to Spain my husband’s dream gift is a leg of iberico! Excuse me while I jump on a plane lol. Dreaming of going back to Italy & Spain. Oh, the food! A great glass of wine & some quality cured meat is all I need. Maybe some cheese as well. Oh yes, PIG! I can’t decide which I love more, prosciutto or jamon, so I just eat as much of each as possible. I can also recommend mortadella de Prato. There’s a secret ingredient. It’s a fine cured meat on its own.